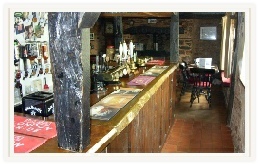 Real Ales currently served are Otter Bitter from the Otter Brewery in Devon and Tribute from the St Austell Brewery in Cornwall. We also always stock a guest beer which changes every month. We open at 4pm from Tuesday to Saturday and all day Sunday. We also open at 4pm on Bank Holidays. Food is served from 6pm to 9pm Tuesday to Saturday and from 12pm to 2pm and 6pm to 9pm on Sunday. Many a person has been propped up here over the last four hundred or so years (Although it has changed ever so slightly throughout that time...) Our bar area is dog friendly, providing they are friendly to our customers.. 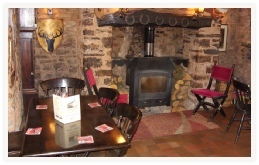 Enjoy a meal in our Smithy Restaurant or in the Bar Area. We can cater for parties of up to 12 with advance warning. 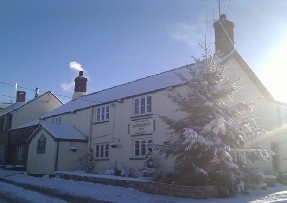 We are only a small pub so booking is always advised in order to guarantee yourself a table.